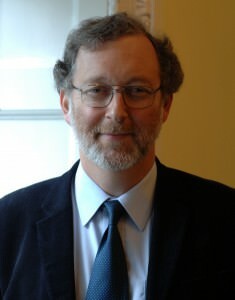 Jonathan Stern founded the OIES Natural Gas Research Programme in 2003 and was its Director until October 2011 when he became its Chairman and a Senior Research Fellow. He is Honorary Professor at the Centre for Energy, Petroleum & Mineral Law & Policy, University of Dundee; Visiting Professor at Imperial College’s Centre for Environmental Policy in London; and a fellow of the Energy Delta Institute. Since 2011 he has been the EU speaker for the EU-Russia Gas Advisory Council. He is the author of several books and many shorter works on energy and natural gas issues in: the UK, Europe (western and eastern), the former Soviet Union and Asia. He is co-editor with Bassam Fattouh of Natural Gas Markets in the Middle East and North Africa, published in 2011. His most recent edited book is The Pricing of Internationally Traded Gas, published by Oxford University Press in 2012. He is the author of chapters in James Henderson and Simon Pirani’s edited book: The Russian Gas Matrix: how markets are driving change, published by Oxford University Press in 2014. His most recent papers (co-authored with other members of the Gas Programme) are: Reducing European Dependence on Russian Gas: distinguishing natural gas security from geopolitics; The Dynamics of a Liberalised European Gas Market: determinants of hub prices and roles and risks of major players, and Does the Cancellation of South Stream Signal a Major Change in Russian Gas Export Policy?